I'm playing around with an idea for a new product. 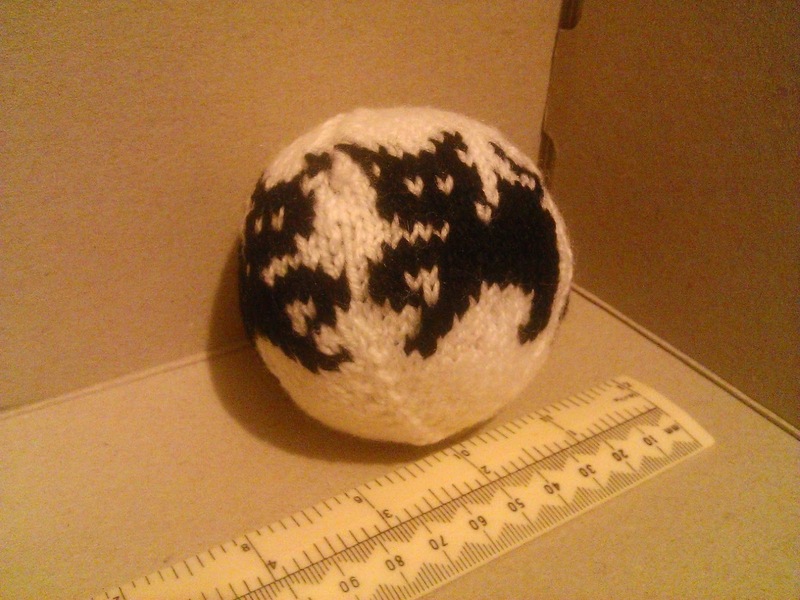 I was thinking a knitted ball with a small bell inside would make a great baby toy. I played around with a design and whipped up a sample, sans the bell. Once I'd stuffed it I started to wonder about small hands pulling at it and what the effect would be. I figured that a trial run would be in order, and since I don't have a small child of the human variety running around, I went with the next best thing. Well, he might as well be our little baby - he gets treated like one. Yip, I gave the ball to Milo to play with. I can report that it was a resounding success as far as he's concerned. It's become his new favourite toy. I'll let him test drive it for a little while to see how well it holds up to being tugged at, clawed, and chewed. At this rate I might market it to cats and dogs too.